I hope you all had a great first weekend of summer! It's a little hard to believe summer is just now technically started and stores are already bringing out fall decor. I love fall, don't get me wrong, but whoa buddy! 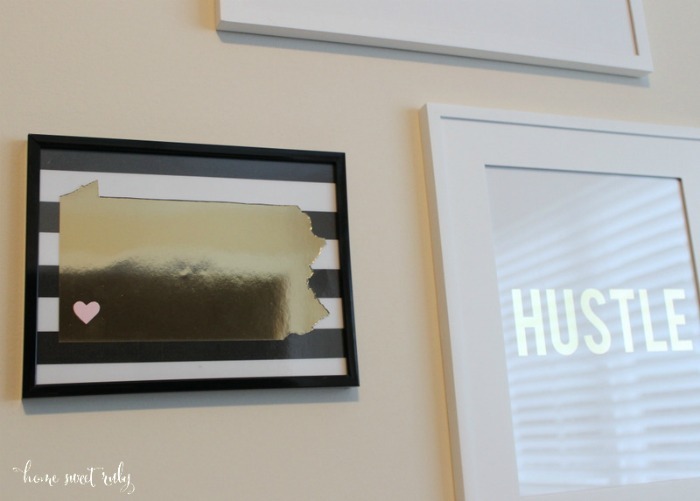 I've been searching for something that reminds me of my Pittsburgh roots to add to my gallery wall so I headed to Etsy in the hopes that I could save myself some time. After searching forever for a gold state print, I was coming up empty. There are tons of other colored options, but I was being my usual Type-A, perfectionist self and couldn't get my mind off adding another gold print to my wall. Michael's to the rescue. 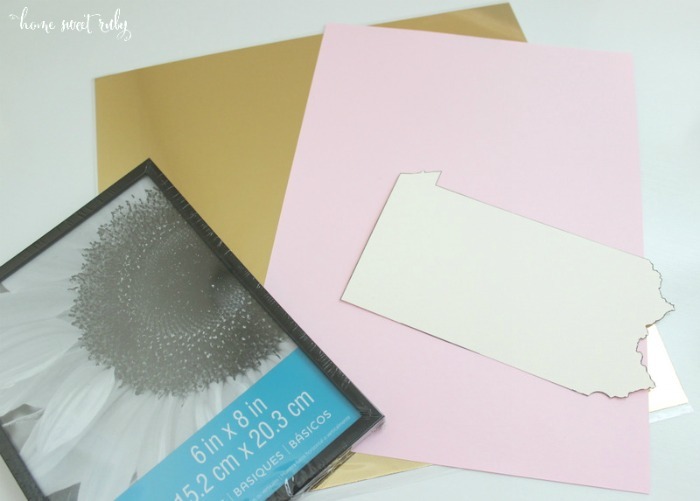 I picked up the prettiest scrapbook paper with the gold foil look and finally committed to making my own version. This couldn't be an easier project. Unless you are doing a state like Wyoming or Idaho. The "other" side of the state of Pennsylvania (I'm biased, sorry Philly friends!) was a little annoying to cut out with my kindergarten cutting skills. One: Google "state outline" or something of that nature (I found mine here) and print it out on cardstock paper. I copy and pasted the state into to Word so I could resize it. 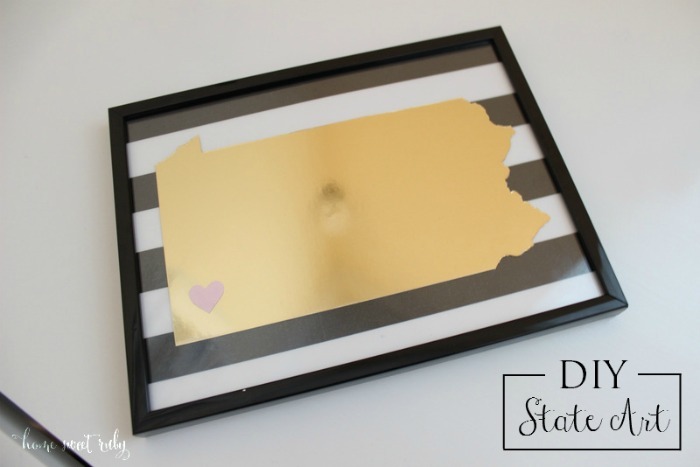 Two: Trace your state onto the back of your gold foil paper and cut it out. Then cut out a small heart for the city. 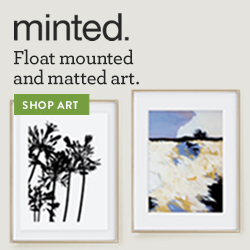 Three: Using two-sided tape, a glue stick, or whatever you can find... assemble all your pieces and hang! Clearly it's tricky to take photos of gold foil prints! That's it! If you're not into the gold thing, you can always use whatever color cardstock paper you want for the state. Someday I'm definitely making an orange and blue version of Gainesville, Florida for our future man cave! Does anyone have one of these state prints in your house? 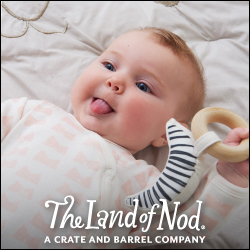 That looks super easy, I will def. have to try although one side of NC might be hard too!! Thank you so much! Yeah NC might be a little frustrating but the exacto knife makes it a little easier than scissors! That turned out soooo cute!!!! Love it! You have the cutest DIY ideas ever! Such a creative and cute idea! I would LOVE one of these on my gallery wall! New Mexico would be so easy too! Love the straight lines! lol :) Thanks for the tutorial!! Thank you so much! :) New Mexico would be super easy, you could totally do it! I absolutely love this!! Good job girl! I love this DIY! I may have to attempt it myself! This looks amazing! What a great DIY for yourself, or it would be great for a gift! I love this!! I need an SC one! Love this! Since California is the golden state I think I need to recreate this! It looks fantastic! I love all your crafty projects! Pining this for sure! oooh, maybe have to do this! That's so great! I'm a Pennsylvania native too! I asked for a state necklace for my birthday... so I can have my family close to my heart!